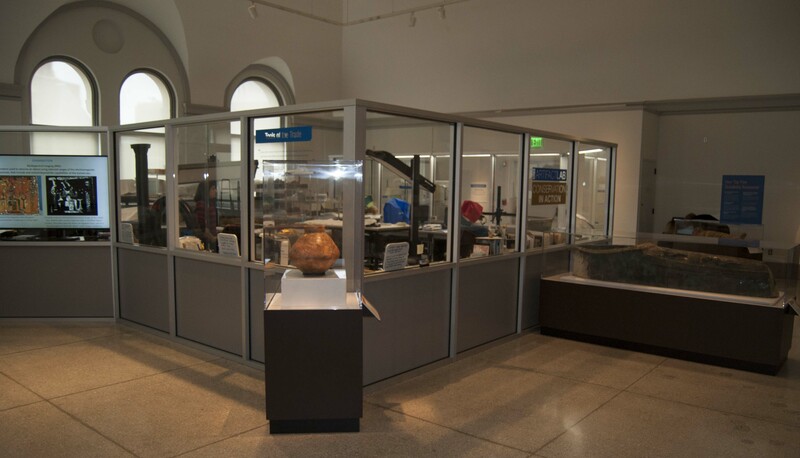 Saturday April 8th is the official reopening of the Artifact Lab, complete with a modified name and some new objects on exhibit and in the lab. The Artifact Lab: Conservation in Action looks a lot like it did before we closed in December, but as you can see from the shot above, our focus has shifted from Egyptian mummies and funerary objects to a wider range of artifacts, with a special focus on objects being prepared for installation in our Middle East Galleries next year. It has a fascinating history, including its restoration here at the museum in the 1890s, which is noted on its catalog card as being carried out by the restorer William H. Witte. 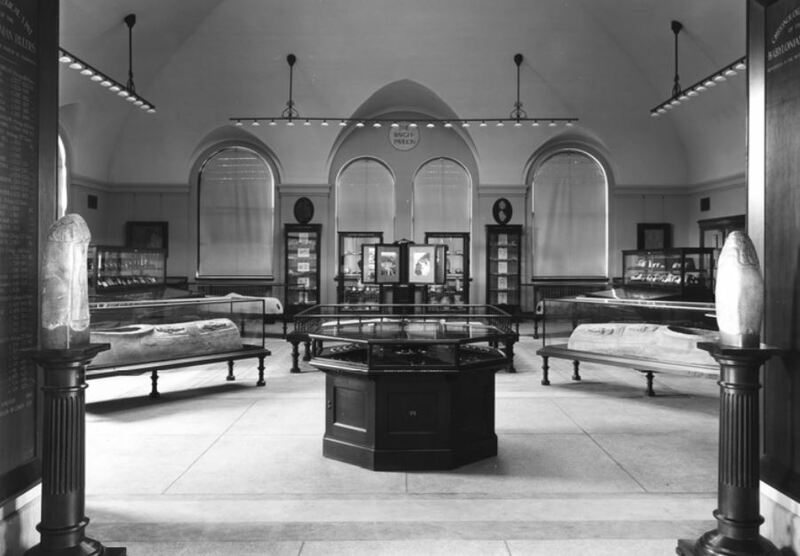 The restoration work allowed this coffin and several others to be displayed for the opening of the new museum building in 1899, where they remained on display for 40 years. 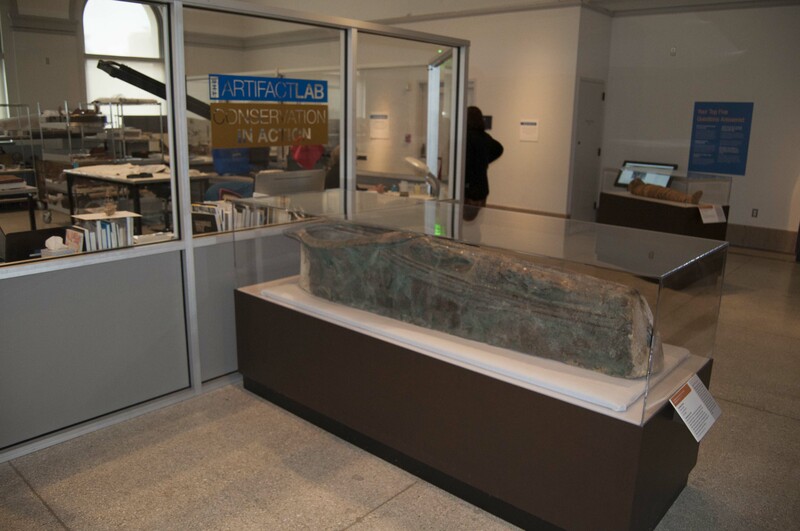 We are particularly tickled that this coffin was displayed in this very same gallery where the Artifact Lab is now housed, the Baugh Pavilion. 118 years later, the slipper coffin has once again been installed in this space. It’s exhibition this time would not be possible without the extensive treatment carried out by conservator Julie Lawson in 2005. You can read more about its history and her work in her article in Expedition Magazine. For those interested in a more in-depth discussion of the conservation treatment, Julie also wrote an article that was published in the American Institute for Conservation’s Object Specialty Group Postprints, Volume 13, 2006.